According to a study published in the PLOS ONE Journal, people can catch allergies from tomatoes and strawberries depending on their variety. According to the study, tomatoes and strawberries can cause allergic reactions due to the presence of various allergenic proteins, particularly are the proteins that resemble the primary allergen in birch pollen. In order to analyse a broad spectrum, varieties were selected in both cases, which differed in size, shape and colour. Furthermore, the influence of organic and conventional cultivation conditions, as well as various processing methods ranging from sun-drying and oven-drying to freeze- drying of the fruits, were investigated. It was assumed that the concentration of the allergenic protein varies with the colour of the ripe fruit, the state of growth, and the processing method. For the study, 23 different coloured tomato varieties and 20 strawberry varieties of different sizes and shapes were examined to analyse the genetic factor for the expression of the allergenic protein in the fruits. The concentration of the allergen in both types of fruit varied greatly between varieties. In addition, the heat sensitivity of the proteins could be confirmed: if the fruits were exposed to heat during the drying process, their allergy potential was lower. However, the influence of cultivation conditions on the allergy content was minor. Consequently, the proteins investigated in the studies may in the future serve as markers for the cultivation of hypoallergenic tomato and strawberry varieties. 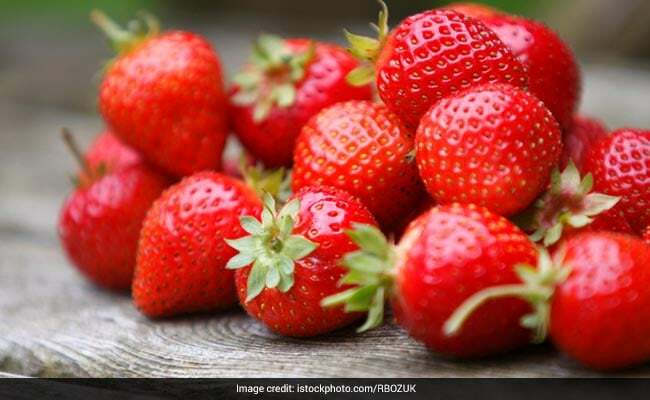 Symptoms of an immunological reaction to strawberries or tomatoes can affect the skin, irritate mucous membranes and trigger a runny nose, and can also lead to abdominal pain. Food allergy sufferers develop symptoms after eating fresh fruit or vegetables, while processed products are often tolerated. The incidence of food allergens has increased in recent decades; it affects three to four percent of the adult population and five percent of children.